Hey all, this is my recent after school lesson. It's got a bit of my Who's behind the card? game in it as well as some Monster / mythical creatures to make it a bit more interesting and then ends with a draw your own monster activity. This is not to be taken too seriously, it's a great way to practice some description based vocabulary as well as some reading. Download the PPT for free, here. 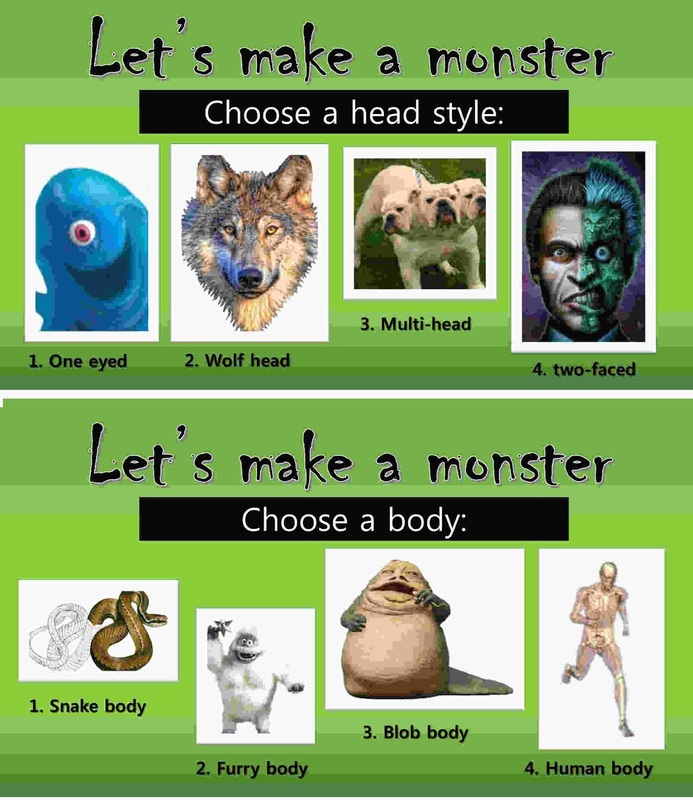 Keep in mind that my middle schoolers range from very low to medium level, so I kept the monster descriptions very simple and if you'd like to teach a more in depth and more specific (historically/folklore accurate) lesson on the creatures in the PowerPoint, feel free to do so and add it to the PowerPoint. It's up to you! 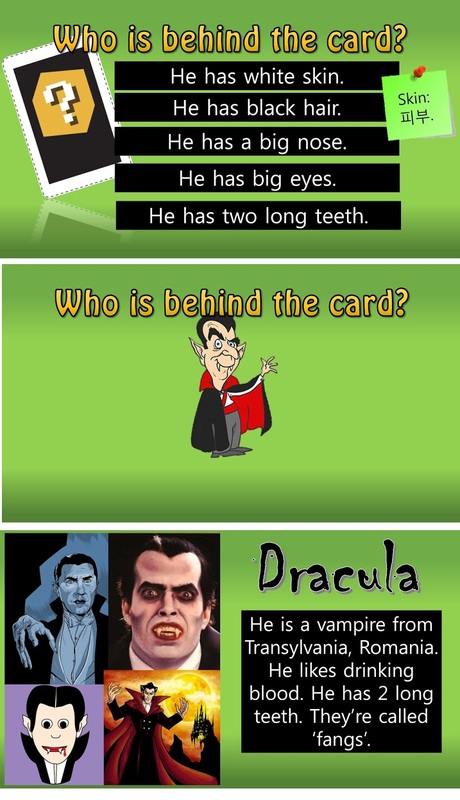 It's a pretty straight forward lesson of draw, guess and read then the final slide is a drawing activity. I've used this for 3 of my speaking classes at my hagwon so far and the students really enjoyed it. They were so excited when they got the answers correct and some were stumped on Cyclops but let out a a loud "oh!!!" when the card was revealed. Thank you for making such a lovely powerpoint!